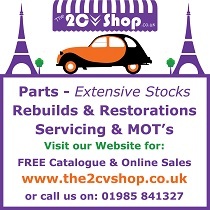 The story goes that the genesis of the 2CV began in the early '30s when Pierre Boulanger, Citroen's MD, drove out into the countryside and found himself stuck behind a slow moving horse and cart. "Buy yourself a car!" he roared. These may not have been his exact words, but an idea took root. The reason why rural farmers didn't own cars was that they were simply too expensive, and, being aimed at the moneyed classes, tended to be lavish walnut-and-leather affairs, certainly not the kind of car that would put up with carrying farm implements, animals and manure and being driven over unmade roads and tracks on a daily basis. Boulanger realised that if he could produce a cheap, simple and rugged car, a vast untapped market would be opened up. On arriving back in Paris, he assembled his design team. "I want four wheels and a platform under an umbrella" he announced to his astonished design chief. Boulanger continued that he wanted a car that would carry two peasants and 100lb of potatoes, have a maximum speed of 60kph (38mph) and do 100 kilometres per 3 litres of fuel (over 90mpg!). The car must also be capable of carrying a basket of eggs over a ploughed field without breaking a single one. Design of the TPV, (la Toute Petite Voiture) had begun. A number of prototypes were produced before the war. One water cooled, one with a single headlamp, one with a lawnmower style pull starter and even one with suspension arms machined from magnesium! Over the war years, Boulanger, whilst obstructing the Germans at every turn, was able to re-think the TPV. The chassis, engine and suspension were radically revamped; the body shell was re-designed by Bertoni, who went on to design the DS. 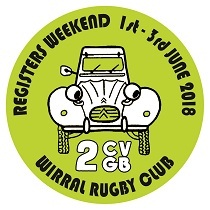 The project was renamed the "2CV", or "Deux Chevaux" from its French taxation rating of 2 horsepower. Following the war, the Traction Avant reappeared in 1946, followed by the H-Van the next year. The stage was set. On the evening of 10th October 1948, three heavily-shrouded cars were smuggled on to the stand at the Paris Salon amid tight security. The next day Pierre Boulanger stepped on to the Citroen podium, shook hands with the French President, Vincent Auriol, and proudly removed the shrouds. The President gaped; flashbulbs popped; motoring journalists howled with laughter, but the public reached for their cheque-books. The 2CV was born. Production started at Citroen's Levallois factory in Paris in spring 1949, with 924 being built. The 1949 2CV, known as the "Type A", was powered by a 375cc, 9bhp air-cooled engine. It had a full length canvas roof, which continued below the rear window to form the boot lid. There was no ignition key (a turn switch activated the ignition, and a pull-start fired the engine), and no way of locking the doors. There were no indicators so the lower part of the front windows hinged up to allow hand-signals, and the only colour option was dark grey. None the less, it was the cheapest car available anywhere, and there was soon a six-year waiting list. The rest as they say, is history. 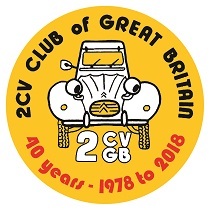 The 2CV evolved slowly over the next 42 years, changing from the 375cc Type ‘A’ of 1948 into the 602cc 2CV6 version of Feb. 1970/ Along its journey it spawned the Ami, Dyane, Bijou and van and pickup variants which are described in the other club registers. (text adapted from an unknown source.